I’ve been quiet here because I’ve been rather busy with rather a lot of graphic design. Longtime readers will know that I love book cover & poster design—really, I can’t get enough of it. 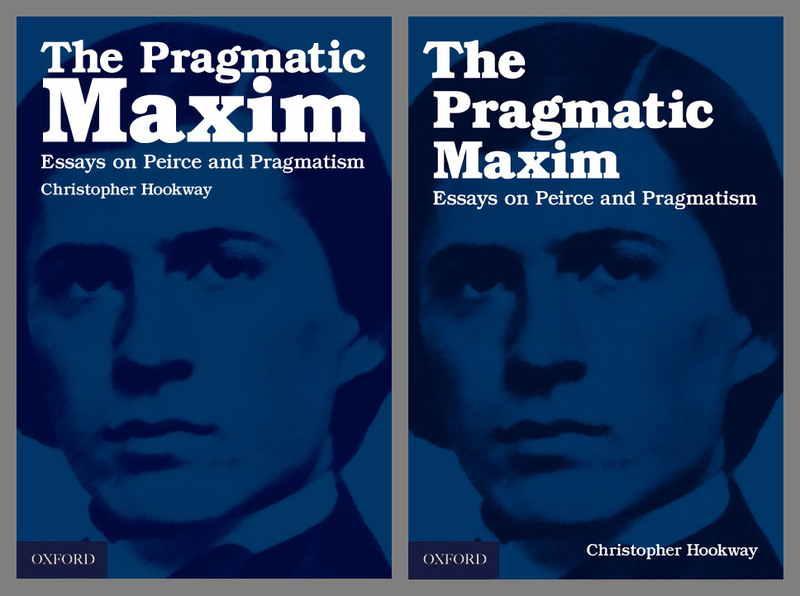 Book covers I’ve recently designed. Click for larger view. 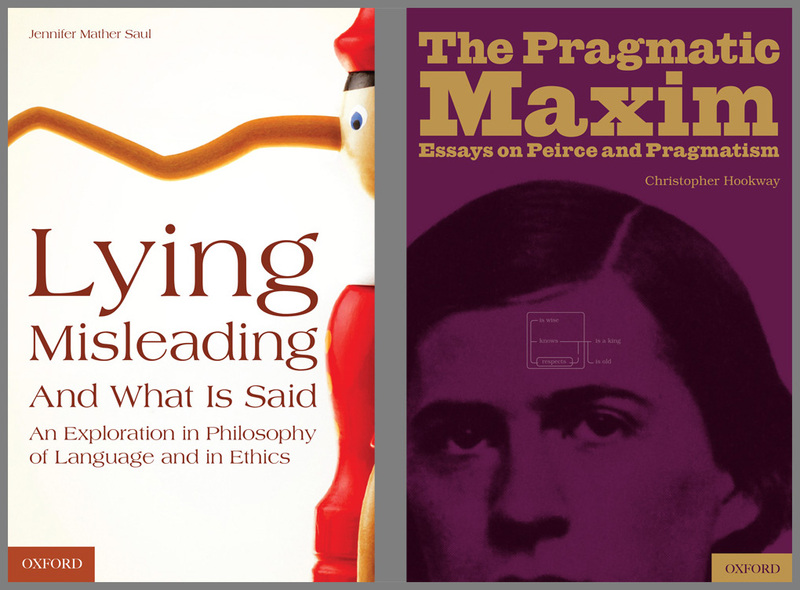 Above are two book titles forthcoming from OUP, Lying, Misleading and What is Said & The Pragmatic Maxim . I’m honoured to have designed the covers. The photo for Lying is from iStockphoto, with some significant alteration. The cover for Lying was surprisingly difficult. I turned towards Pinocchio rather early on in the process, but found that other covers used the same idea. I switched for a while to very abstract covers: a number of phrases that were deceptive or outright lies, including notorious examples from Clinton & Bush, first as a mosaic of words (too busy) and then as a cloud consisting of these sentences, since the distinctions between lying & leading turn out to become somewhat nebulous upon closer examination. The “cloud” idea was appealing and made the design semi-abstract. However, the word clouds I drew ended up looking like masses of hair, which was kind of disturbing. My wife suggested the cloud could be red, but then it looked like a patch of blood smeared on a white floor. Not exactly what I was looking for! So I returned to Pinocchio, with the notion of altering the image: bending the nose to signify not simply outright lying, but the foggier notion of deception. 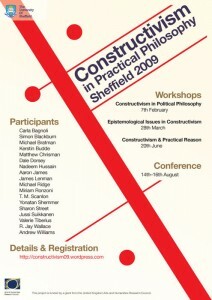 Related poster series for the University of Sheffield. Click for larger view. Recently, a number of the posters I designed for the University of Sheffield, and even some book covers, were collected & are on display in the foyer of Jessop West. It’s probably the closest I’ll get to an exhibition of my work! Update: I pulled the trigger on the Peirce cover far too soon. It was initially rejected because of the font (Giza) & because of the diagram, the placement of which actually runs contrary to Peirce’s work on how we develop our ideas. Since we were pulling away from the poster (the original inspiration for the design), this gave me further opportunity to change the look. I’m pushing for the version on the left, but the client is leaning towards the safer version on the right. Undesign! 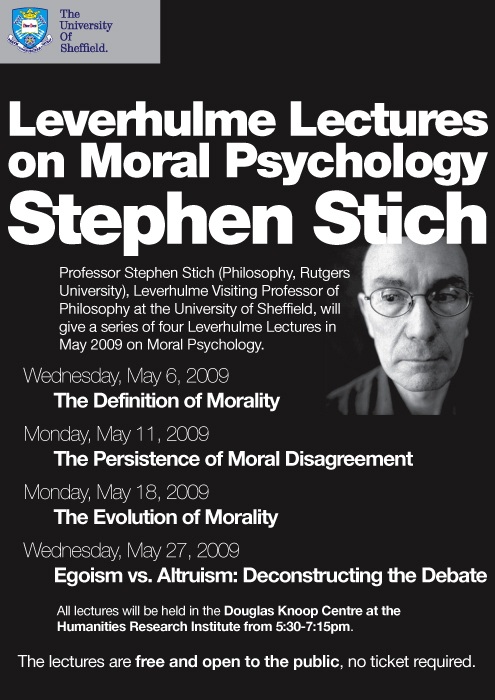 We’ve recently completed (and had printed) a couple of new A4-sized posters for the University of Sheffield, one advertising a series of lectures by the renowned philosopher Stephen Stich & the other promoting an MPhil degree in Political Theory. Before we continue, you may wonder: why A4? Isn’t that small for a poster? It is, but not in the context of a university department bulletin board with lots of competing notices. 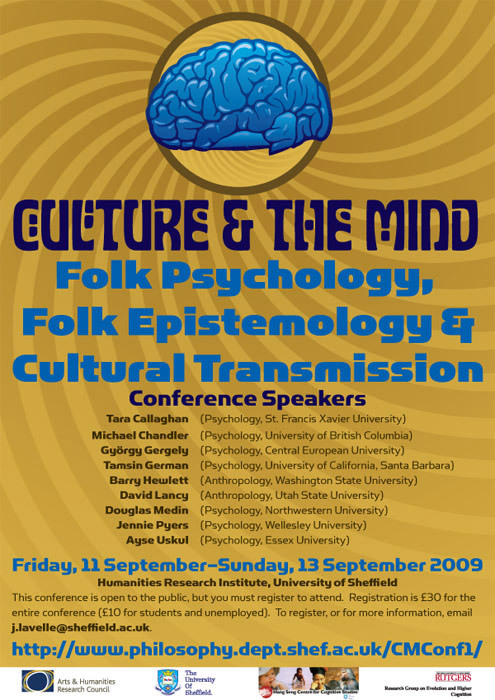 If your poster is too large, it may not even be placed on the board; and even if it is, a larger poster will soon be covered up by other notices. So an A4-sized poster is about as large as you can safely make it. Judging from this use-case, you might also conclude that creating a striking effect for your poster would be crucial: one that makes your notice stand out from the dozens of other notices. And you’d be right. This was a rush job: I had 24 hours to go through the process of commission, design approval & printing. What’s worse, I was suffering through the worst flu I’ve ever experienced. What’s worst is that I was handed a huge wodge of text & only two source images. Luckily one image was large enough that it was feasible to expand it further to print quality. With such a timeframe & under those conditions, you are subject to severe constraints. Constraints are sometimes wonderful & this was one of those times: it helps guide you quickly down the path towards a decent design. Some of the constraints were posed by the photo. It was black & white and couldn’t be expanded further without risking pixellation. Also, the picture wasn’t fully optimal because a critical element—the top of Steve’s head— was cut off. So immediately we know that the poster should be black & white (to match the picture), it shouldn’t rely too much upon the picture to give it visual interest (because it was small) & that we were going to have to distract the eye from the missing top of Steve’s head. When you’ve got a lot of text and your photo is small & suboptimal and you’re limited to black & white, then you’ve got to rely upon typography & stark contrast to attract the viewer’s attention. Black text on white is too common: reversing this will catch the eye. 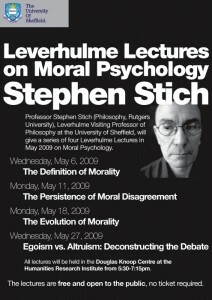 Using chunky typography, I covered the top of Steve’s head with his surname & used the look on his face to draw the viewer’s eye towards the explanation for lecture series. The result is pretty good, I think, and certainly eye-catching, but it’s a little conventional. Had I more time, I would have made that chunky typography a lot chunkier: it would have taken up about half of the poster. But time was a real constraint here. 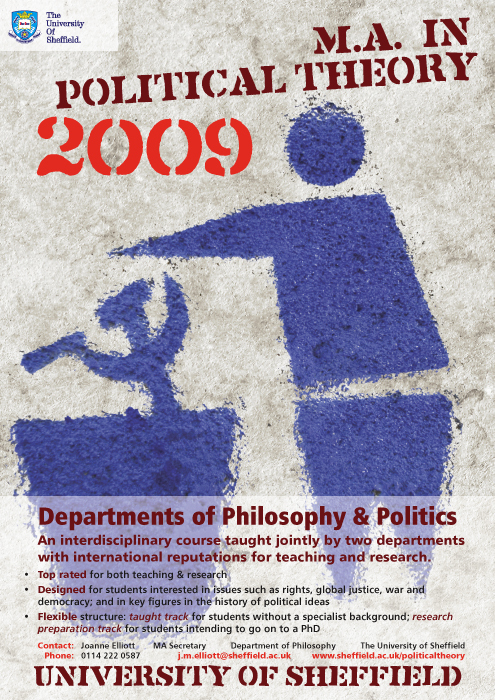 The second poster here is for the promotion of a degree offered jointly by the departments of philosophy & politics. We were to employ a really striking image that’s somehow relevant to the subject. My initial to represent the result of a broken political process: images ranging from protests, revolution, police in riot gear, bombed-out cities, etc. I also immediately thought of Orwell’s memorable line from 1984 : “If you want a picture of the future, imagine a boot stamping on a human face—for ever”. Any of these images would certainly contribute to a striking poster, but the approach was ultimately rejected as inherently faulty. I might have put out an unintentionally negative message: “Join us & together we’ll destroy the world”. So a re-think was definitely in order! I came across an intriguing image of anti-Communist graffito on iStockphoto, one that still cleaved to my original idea of portraying a broken political process, but the action portrayed here was more positive. Here, the notion is of casting aside what didn’t work as the initial part of the transition to something that did. And of course, what do you need to make that transition successful? Why, lots of people with MPhils in political theory, obviously! To keep to the conceit that the poster was itself political graffito, I opted to place the title in a hand-drawn stencil typeface. 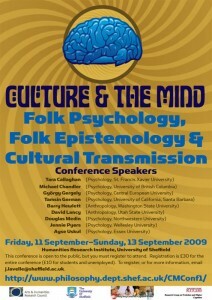 And finally, the actual content of the poster was placed on a semi-transparent bed. By the way, if you’re a graphic designer in the Sheffield area & need digital printing done quickly, consider ASAP Digital, who printed both posters. Their quality is excellent & their turnaround time is fantastic.